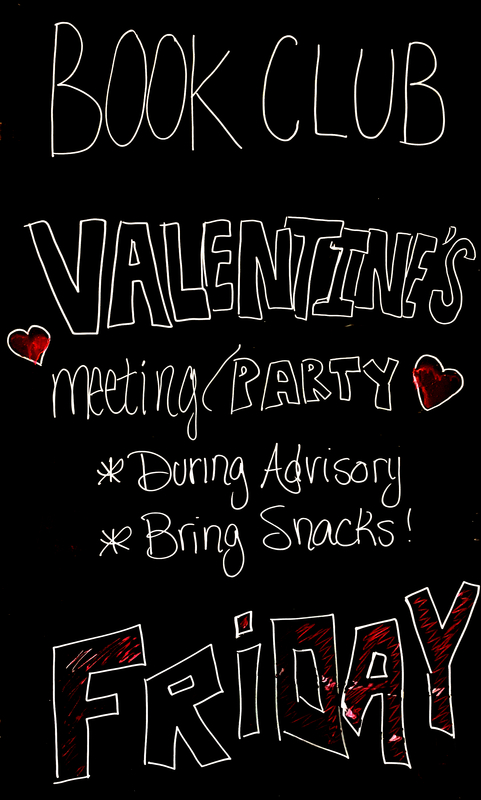 Book Club members are invited to bring snacks for the meeting on Friday, February 15 during advisory. We will be celebrating Valentine’s Day. Come ready to share titles of the books you L💖VE!